The Cuban flag was officially adopted in the early 20th century but it already existed before. It remains today the official flag of Cuba, but it is not the only emblematic flag flying over the island! Intrigued? Keep reading to find out everything there is to know about the Cuban flag! 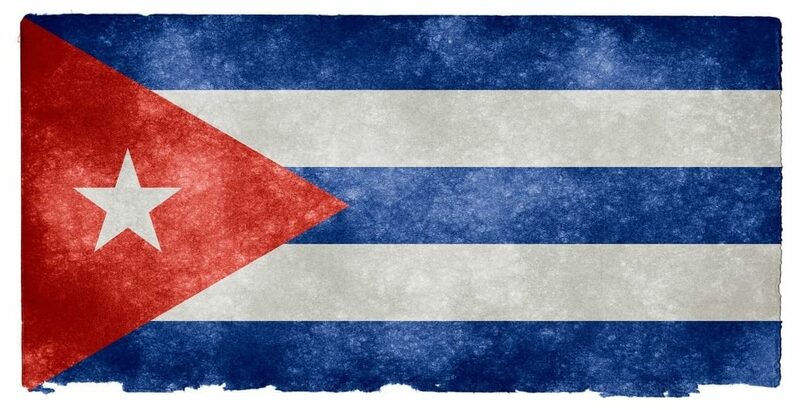 The Cuban flag falls into the category of the tricolour, blue, white and red rectangular flags. 5 blue and white alternating stripes, starting with a blue one. The stripes are parallel and all are the exact same width. The blue stripes represent the three regions of Cuba at the time when the Cuban flag was designed: the Occidente, the Oriente and the Centro. The white stripes represent purity. a red equilateral triangle with a white five-pointed star at the centre. The red colour represents the blood that Cuba shed struggling for independence. The equilateral shape of the triangle represents the equal importance of liberty, equality and fraternity. The white star is a representation of “la Estrella Solitaria” (the lonely star), which lights the path to freedom. Their proportions are different. The Cuban flag’s a length-to-width ratio is 2:1, while the Puerto Rican flag’s is 2:3. The colours are not exactly the same: the blue on the Puerto Rican flag is sky blue while the blue on the Cuban flag is in a deeper shade. The elements which are blue on the Cuban flag are red on the Puerto Rican flag and vice versa. Cuba declared its independence in 1898. Four years later, on May 20, 1902, the government adopted the Cuban flag. However, the Cuban flag had been designed years before then. Indeed, in 1849, a couple of Cuban exiles, Miguel and Emilia Tolon sketched out the flag at the request of Narciso Lopez, a Venezuelan entrepreneur. Narciso attempted on two occasions to free Cuba from the Spanish settlers, with the help of American Confederates. During his first attempt, Narciso succeeded in taking the city of Cardenas and raise the Cuban flag. However, the rebellion did not have the support of the local population and ultimately ended up in failure. It was not until many years later that “Narciso’s flag” was finally adopted. 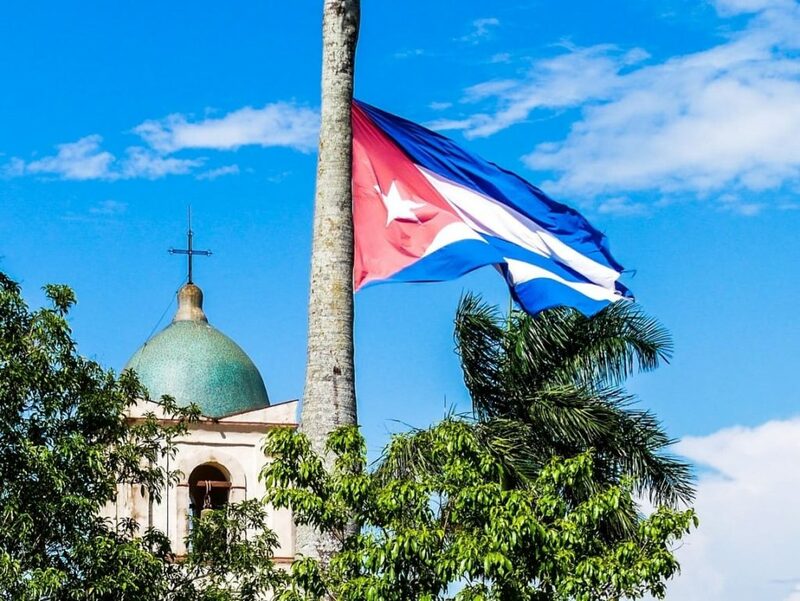 Even though it is not the official flag of Cuba, you will see the M26-7 flag fly over many buildings in Cuba. The M26-7 flag is the flag that Castrist fighters raised during the Cuban Revolution. 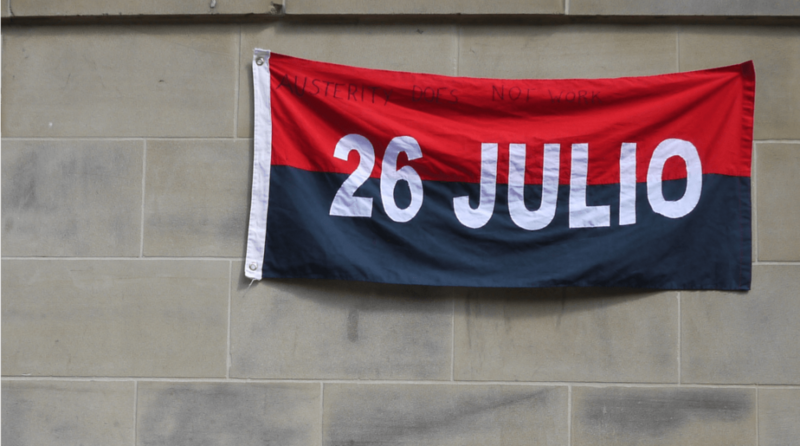 The flag is black and red, which are the colours of anarcho-syndicalism and libertarian communism. The inscription “M 26-7” appears in white and stands for “Moncada, July 26th”. 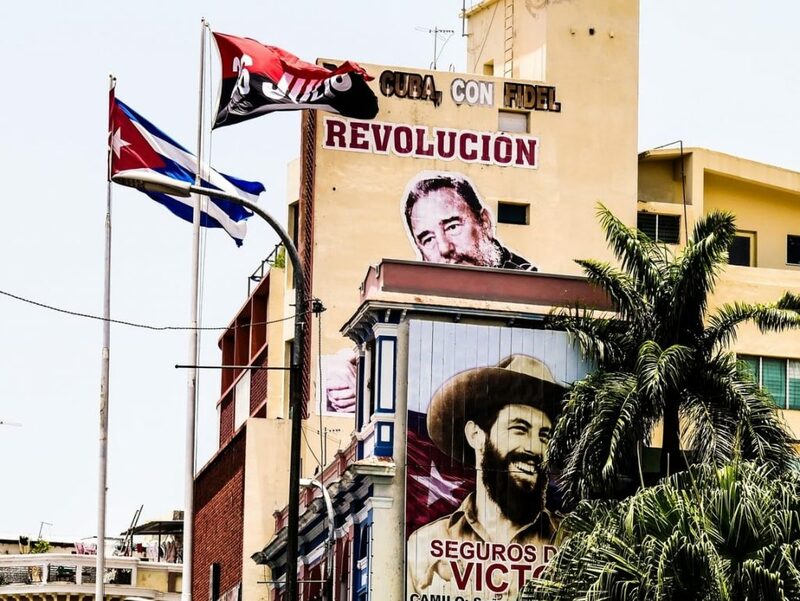 It is a reference to the (failed) attempt led by Abel Santamaria and the Castro brothers to take Santiago de Cuba’s Cuartel Moncada on July 26th, 1953. The infamous black flag first appeared in Cuban waters, off the coast of Santiago de Cuba, on the ship of French pirate Emmanuel Wynn. 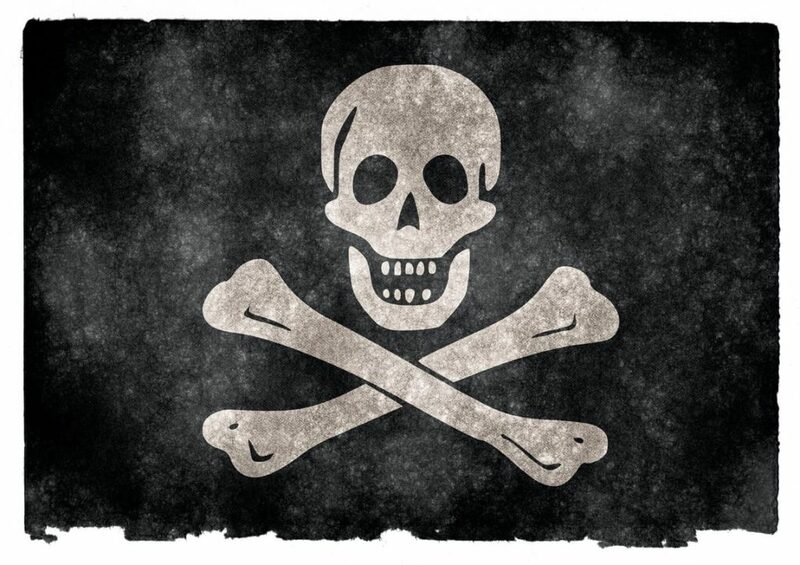 The flag featured the traditional skull and crossbones, as well as an hourglass, a symbol of vanity.